Welcome to 2.74 acres of zoned R-5 oceanfront property. From this property, you are walking distance to Pu'uloa Beach Park. 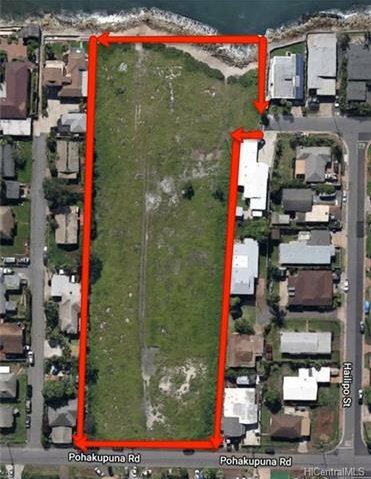 This property is perfect for an immense dream home or for an investor looking to develop this lot into multiple homes. The possibilities are virtually endless! Absolutely breathtaking, stunning, beautiful and out of this world, are only a few ways to describe this fabulous oceanfront parcel of land. This property is level and already cleared for your construction project to take place. Bring your Realtor and your architect today because your dream home or your next development project is waiting for you at 91-693 Pohakupuna Road. Listing courtesy of Luxury Homes International. Selling Office: Five Star Realty, Inc..